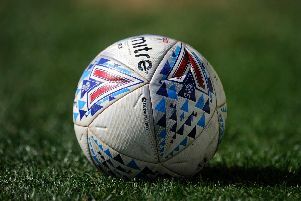 Crisps might have stopped play but both sides lacked a touch of bite in the box as Fleetwood Town drew 0-0 with Charlton on a day of protest at the Valley. Charlton supporters had planned the protest in response to Belgian owner Roland Duchatelet' latest cost-cutting measures. Once the action resumed after the stoppage in the first minute the two sides produced plenty of endeavour but few chances. It was the first time Barton had named an unchanged side in his reign, the ex-Burnley man sticking with the same 4-4-2 starting XI that thumped Scunthorpe 5-0 on Wednesday. The best chance of the match came after 57 minutes, when Charlton keeper Dillon Phillips brilliantly kept out a header from Ashley Hunter. Charlton should have taken the lead with 13 minutes remaining when Joe Aribo volleyed wide from eight yards after a good cross by Chris Solly. The forward took the chance on himself, his shot deflected wide for corner as the game ended 0-0. Fleetwood Town: Cairns, Coyle, Eastham, Morgan, Husband, Burns, Marney, Holt, Hunter, Evans (Long, 83), Madden (McAleny, 90). Subs: Jones, Dempsey, Grant, Bolger, Sheron. Charlton: Phillips, Page, Bielik, Bauer, Marshall (Vetokele, 63), Taylor, Pratley, Aribo (Lapslie, 78), Grant, Solly, Sarr. Subs not used: Steer, Dijksteel, Pearce, Morgan, Ajose.